Fire Company No. 4 has been innovators down through the years, beginning as early as 1880 when we kept one person at the firehouse 24 hours per day in order to get the hose reel out promptly. 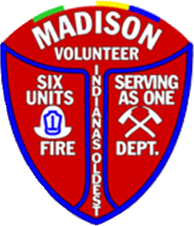 In addition to operating the first motorized truck in Madison, we had the first and, until 2008, only aerial ladders. The company was the first to adopt the technologies of positive pressure ventilation and thermal imaging and was the first downtown Madison company to use 5-inch, large diameter hose. When you join the team at Walnut Street Fire Co. No. 4, you’ll become more than just a volunteer firefighter. You’ll learn how to combat fires, how to save lives and how to take care of yourself and fellow firefighters to remain safe on the firegrounds. It can be a dirty job, but you’ll find that most firefighters become truly passionate about it. 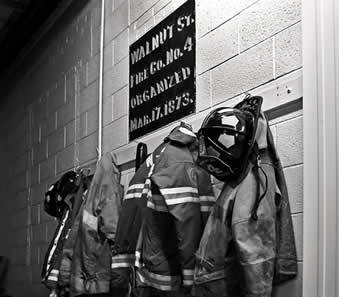 Check out the firefighter introduction videos below, and if you like what you see, come join us. Fill-Out an Online Membership Application. If you’re interested in becoming a volunteer firefighter and would like more information, please contact us today at contact@firecompany4.com, or fill-out an online membership application today. View Fire Company No. 4’s Action Shot Photos.